Blog | Bartok design Co. Blog – Page 14 – Bartok design Co. 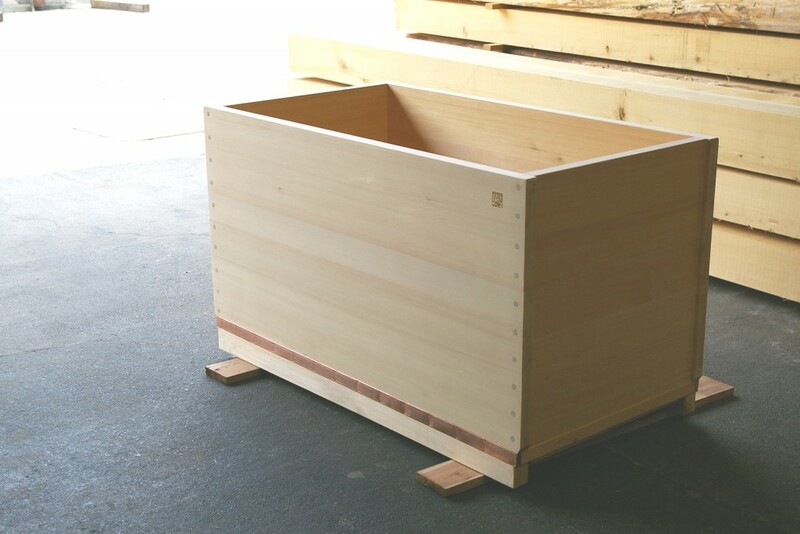 This is sequel of the manufacture of the tub for South Africa. 3 faces have been assembled together. 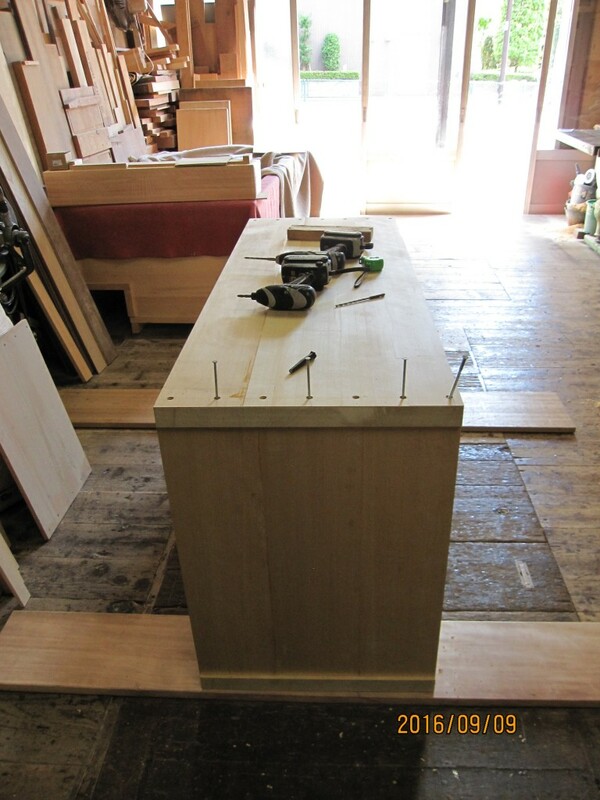 Now is time to insert the bottom plank. Finally, the last wall will be hand-planed on both sides before being set in place and close the circle. To tighten up the faces, we use long stainless steel bolts. 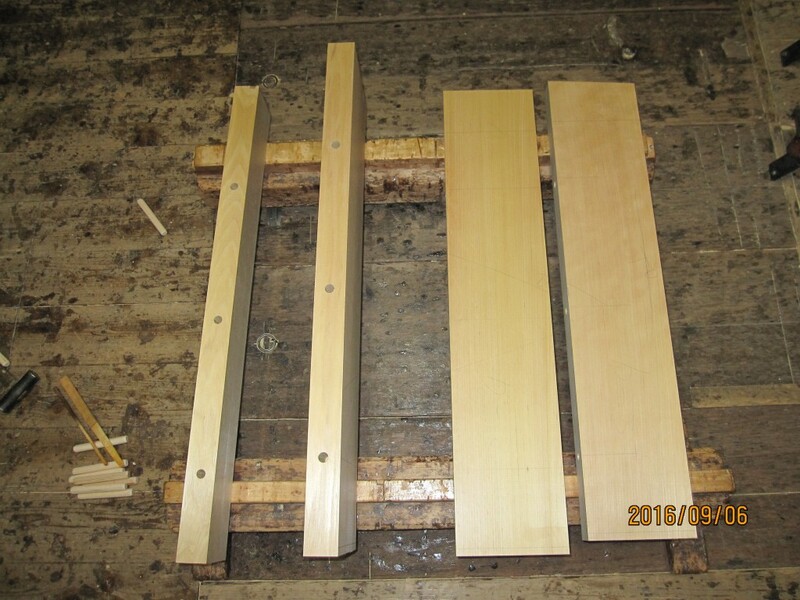 The head of the bolts is capped with round wooden dowels (for a natural look) or copper plates (the traditional detail of the Edo area, borrowed from the ship building practices). 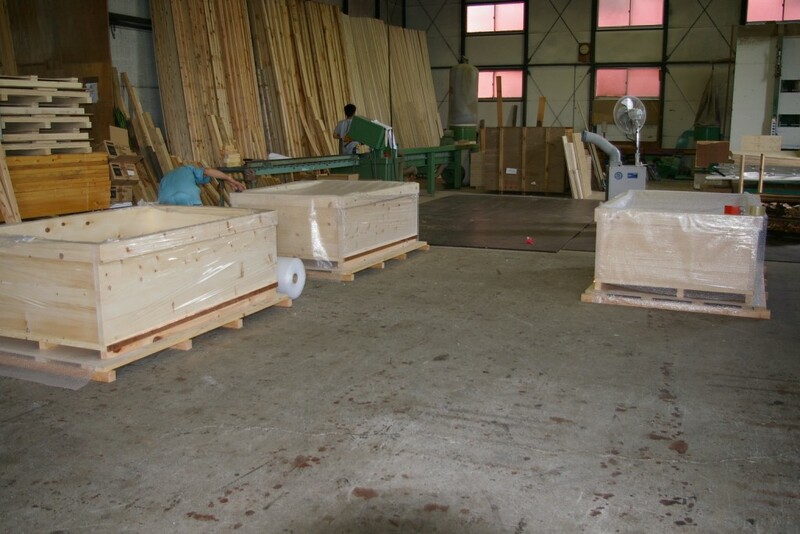 This ofuro in asnaro wood is going to be installed in place of a shower box in a renovation project in Switzerland. The client carefully planned the layout so you can look out from the window while sitting in the tub. 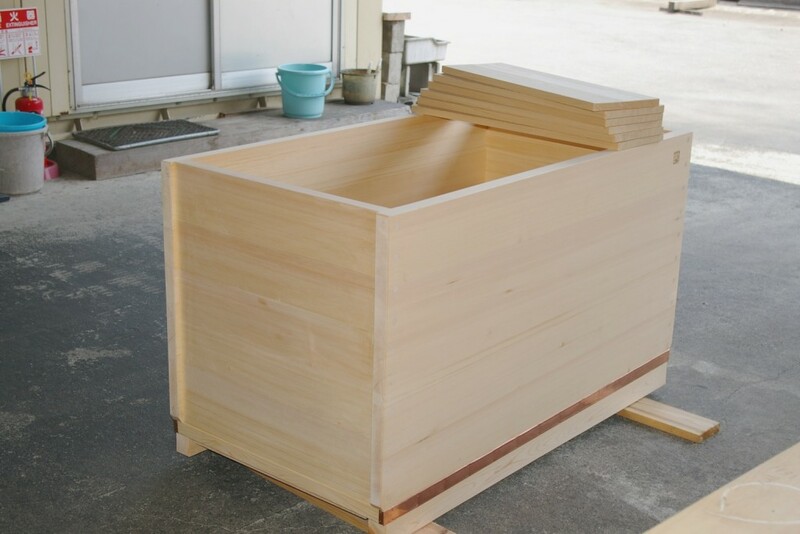 It is difficult to understand just by seeing the picture, but the “feet” of the tub are on the short side instead of the long side (as usual). 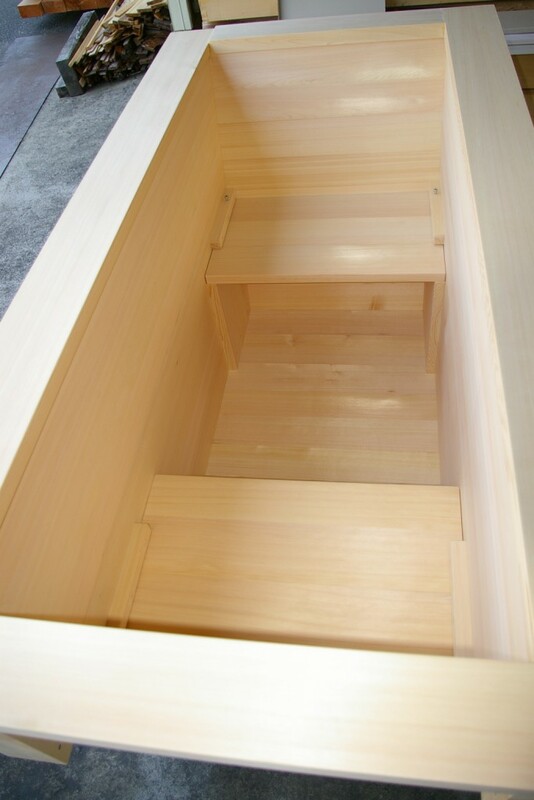 Being the tub is a long and narrow niche, the short side will be the front so it makes sense to use this detail both aesthetically and maintenance wise. This point deserves a clarification. 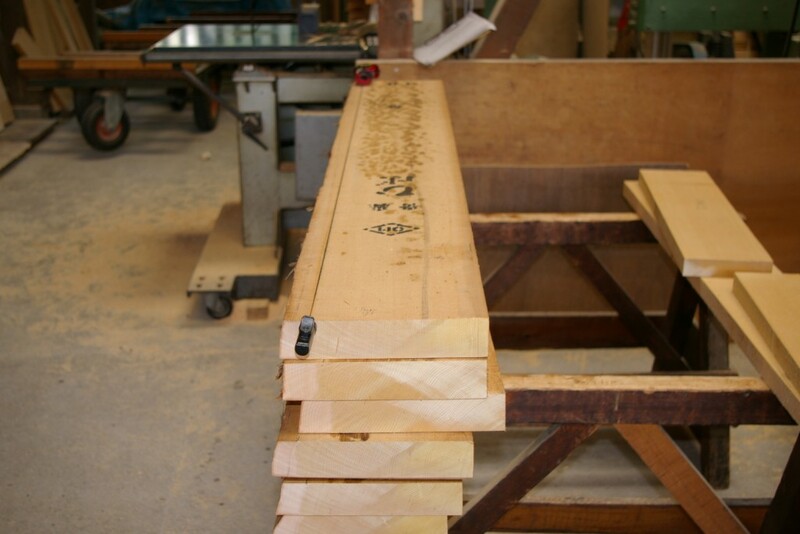 We use thicker wood for the planks so that the bottom does not need additional framing. Here is an example. This detail can add considerably to the cost, especially if combined with a 90 degrees corners detail. As opposed to the standard T shaped corner. The tub is reasonably small. Which is the case in this Zurich example. In this case there is no extra cost involved. View of the mesmerizing interior of the ofuro! Continues from a previous post. 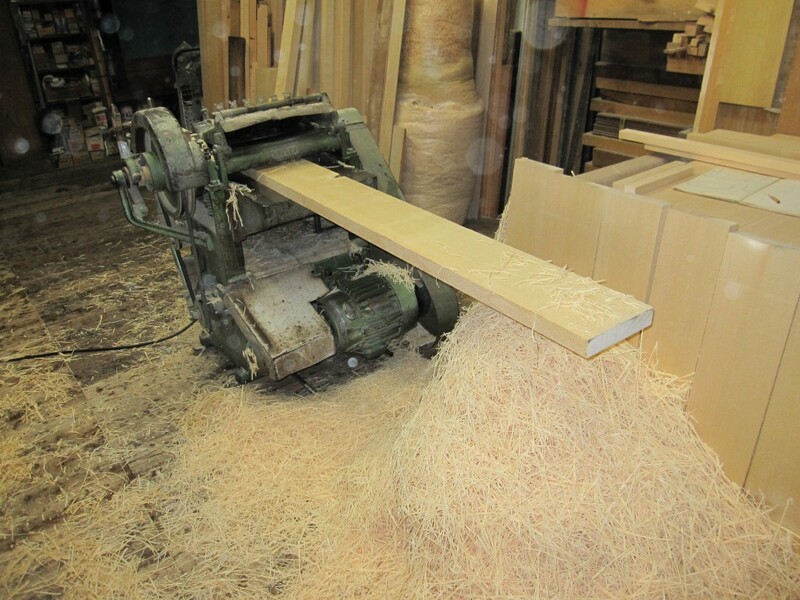 Open the blog about “choosing the lumber” in a separate window. 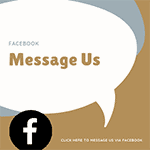 We have been contacted by a private client in South Africa about 3 years ago. 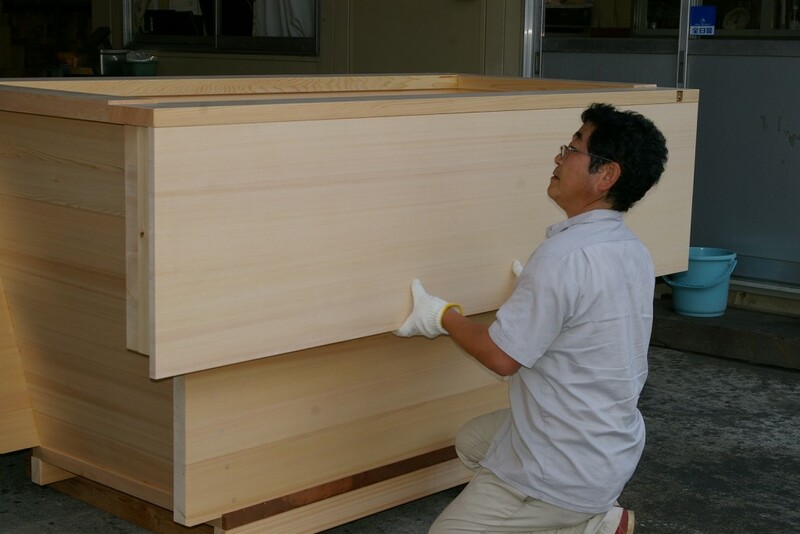 He was going to build a new house overlooking the sea and wanted a japanese bathtub. 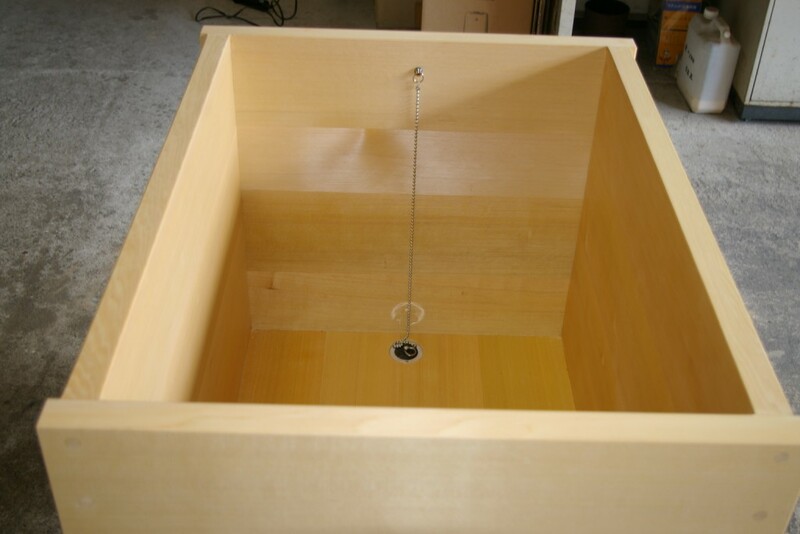 We shipped the round tub to singapore using DHL. Recently Fedex and DHL are becoming more and more competitive costwise. Also, we learned from a client a new way to find a competitive shipping company. Basically, if I understand, you put tentatively your infomration and some shippers or other users (a kind of group-on?) 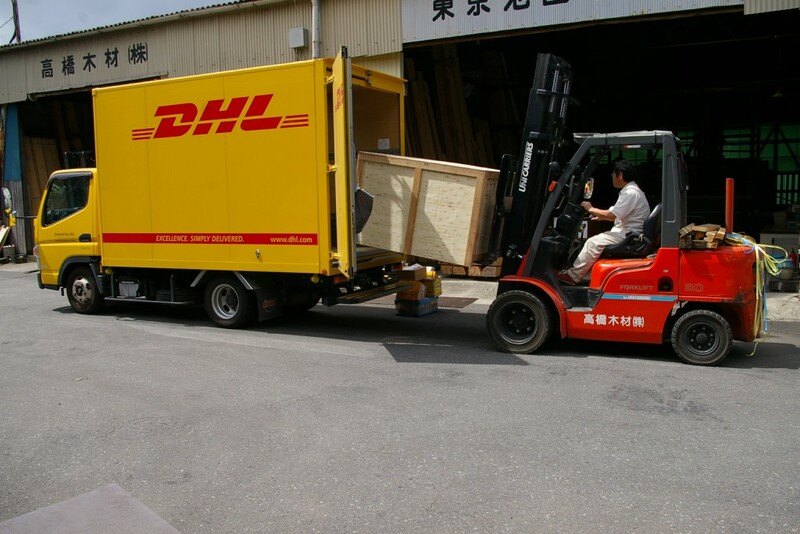 contact you if there a good option of the possibility of consolidating the shipping. 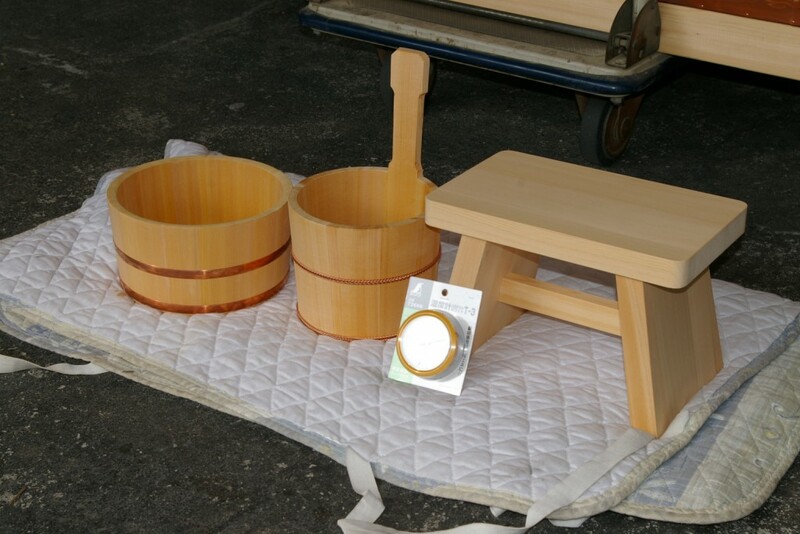 We produced 3 tubs for a spa in Singapore. 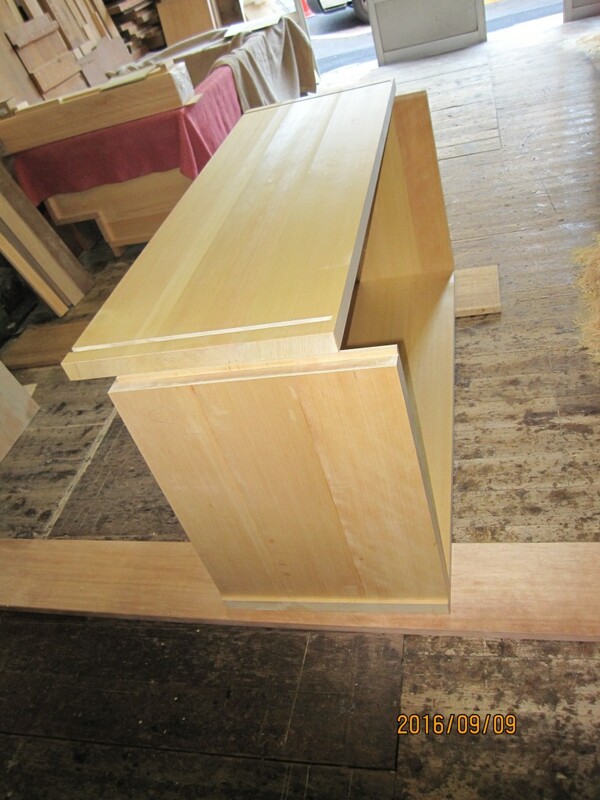 As we did not have stock of hinoki (it takes at least 2 months to natural dry the lumber) we proposed to use koyamaki wood. 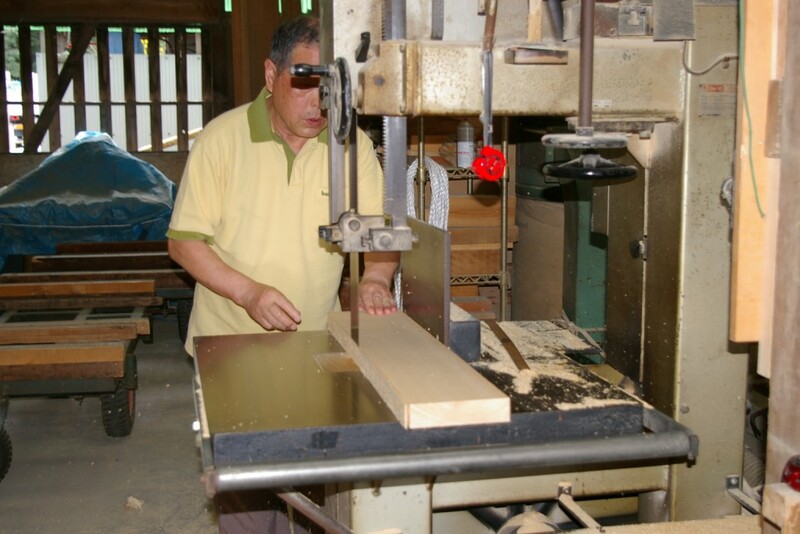 Koyamaki is the most prized of the “5 trees of the kiso valley” (koyamaki, hinoki, asnaro, sawara, nezuko) and is even more rot-resistant (and more expensive) than hinoki. 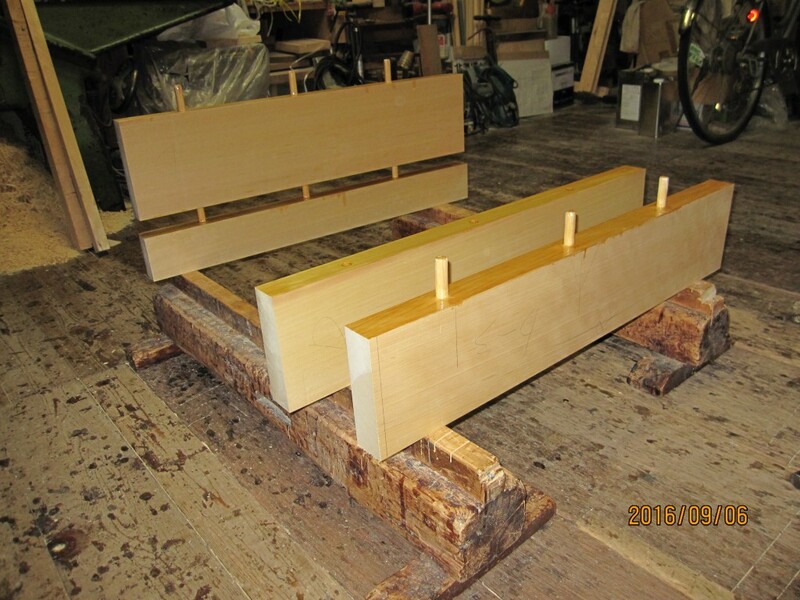 In this case, we used Koyamaki-B grade, with small knots on both sides. 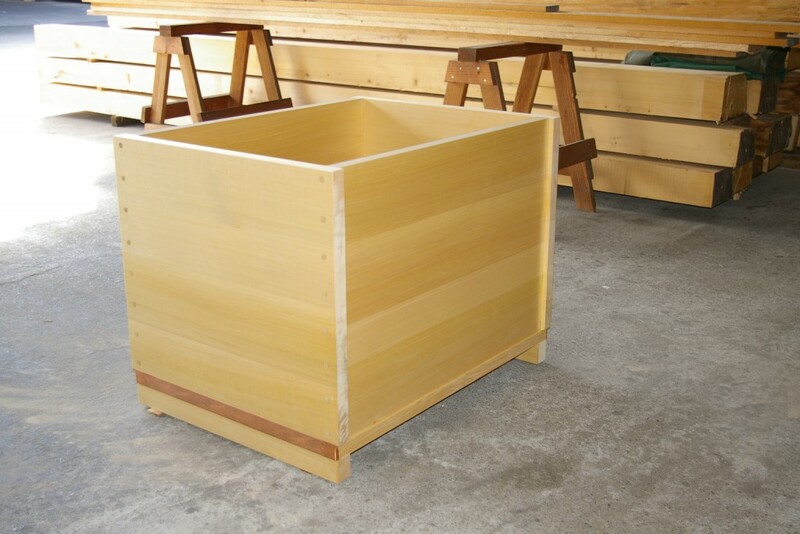 Koyamaki is more knotty than hinoki, thus a knotless koyamaki tub really becomes a premium item. I did not have time to take the photos in advance since time is tight and the tubs are being packaged. 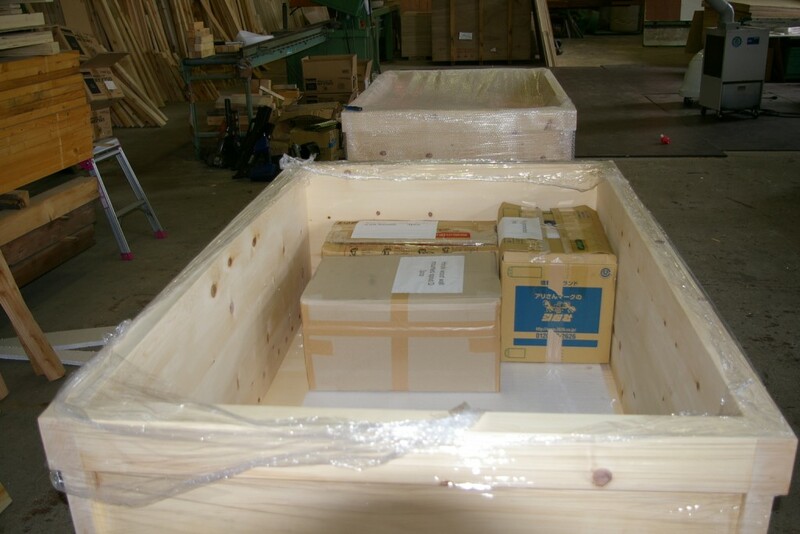 We are placing the accessories inside to contain the shipping volume as much as possible. 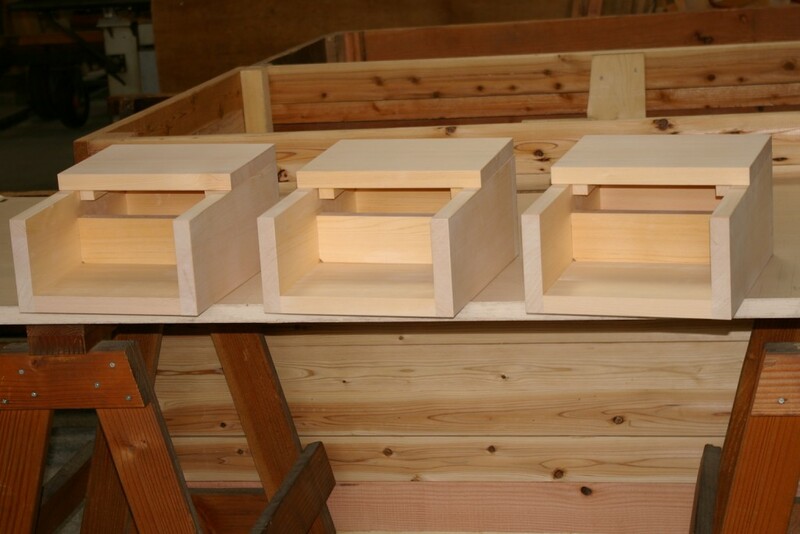 The tubs will be equipped with ledge mounted spouts. 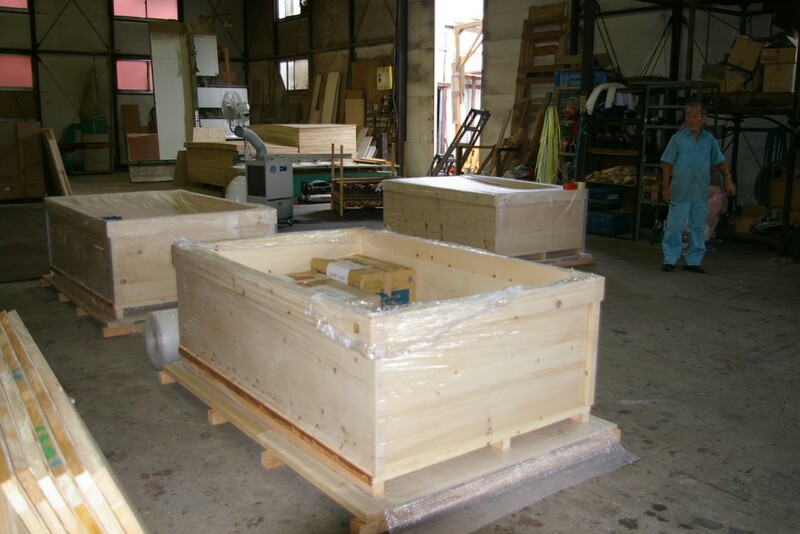 I am looking forward to see the tubs installed and of course … to rush to Singapore for a relaxing and aromatic plunge! Our clients, the Elements Wellness Spa in Centrepoint, Singapore have created a fun video showing the spa experience. It’s gorgeous! 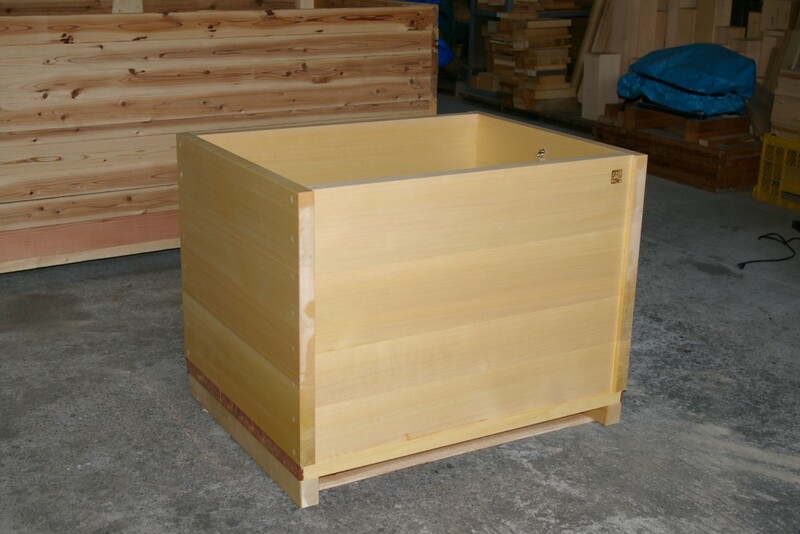 A Japanese living in Hong Kong kindly coordinated on behalf of the owner the order or a large hinoki tub for a residence. The installation will be in a ledge so the also supplied the external panels to be mounted on site. the other side will be recessed in a tiled ledge. 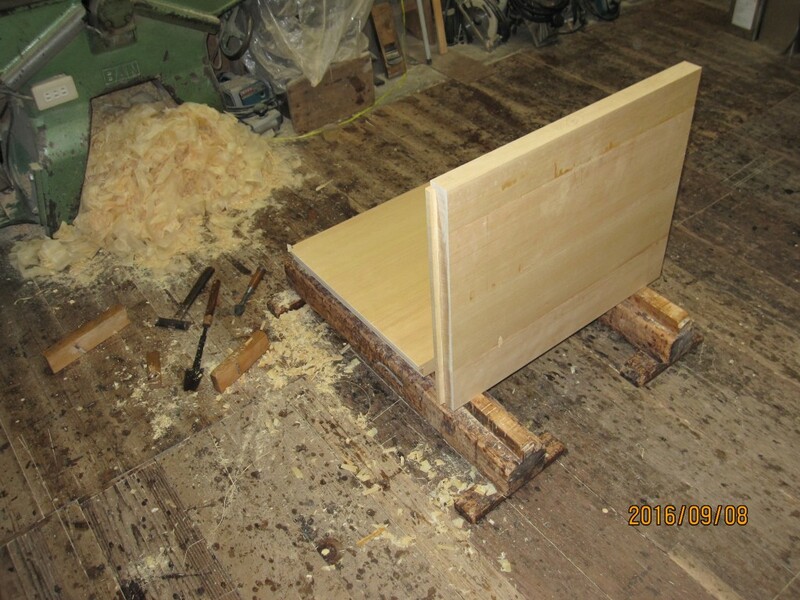 since the tub top frame is recessed on one side to direct the overflow in this direction, we added a base on one side to the cover planks. 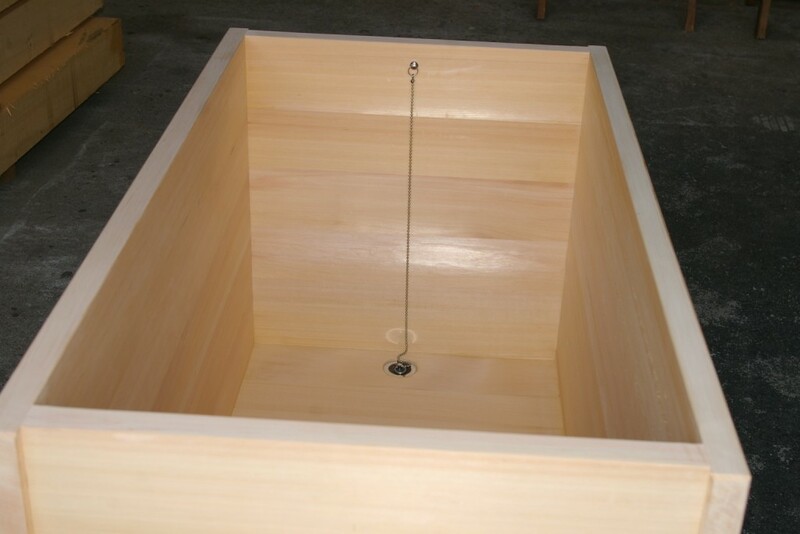 The client is going to replace his previous american made wooden tub which is leaking. The tub is recessed in the ground so this tub matches the size exactly. 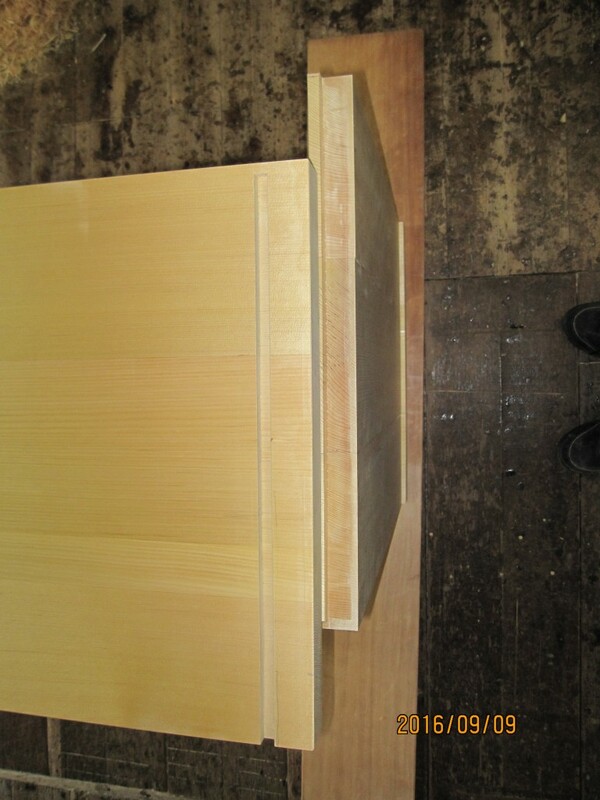 I think we exchanged 3 mails with the client: he had some questions about the thickness of the planks and the corner joint construction to compare with his present tub. It was very pleasant to deal with him as his words were precise (even without using specialized terms) and his purpose was clear. I imagine he is very busy businessman but very efficient with his time. This inspires me to be more focused and calm when taking decisions! Let me post here again a technical note about our mail server: we had some mail problems: for some reason, some emails I send to hotmail or gmail accounts are rejected without error messages. (I wonder if it is a keyword-based spam filter: some mails get thru, some don`t…). I am working on it. Meanwhile, if you are having problems in reaching us: please use my alternative mail address: iax1213 at gmail com. My current ofuro is constructed with is 41.39 mm and you propose 33 mm that is 8.39 mm thinner. From your experience is 33 mm sufficient? 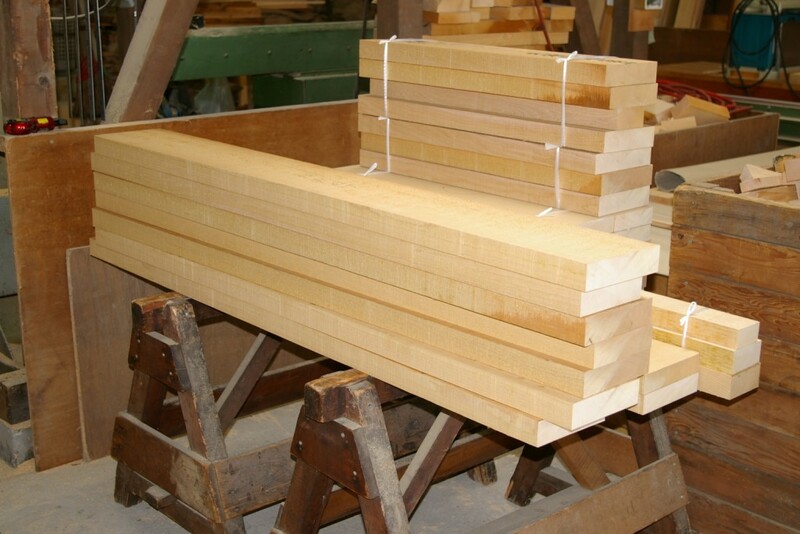 The next size we use for planks after the 33mm thickness is 42mm. 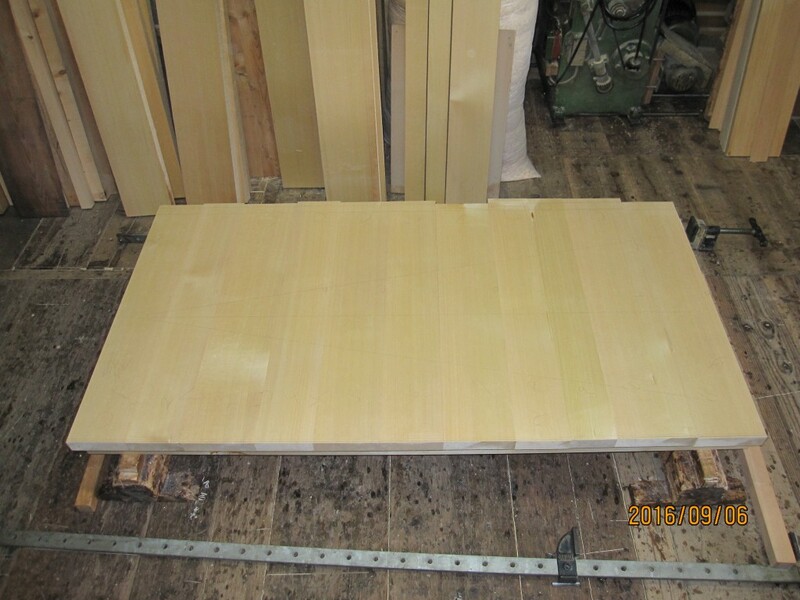 client asks for thicker planks, 33mm is more than enough. 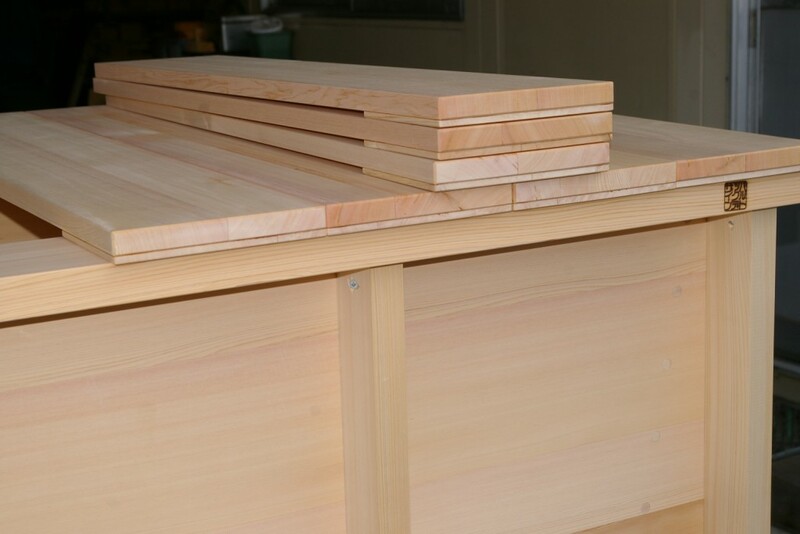 Also thinner planks are less prone to cracking due to dryness. 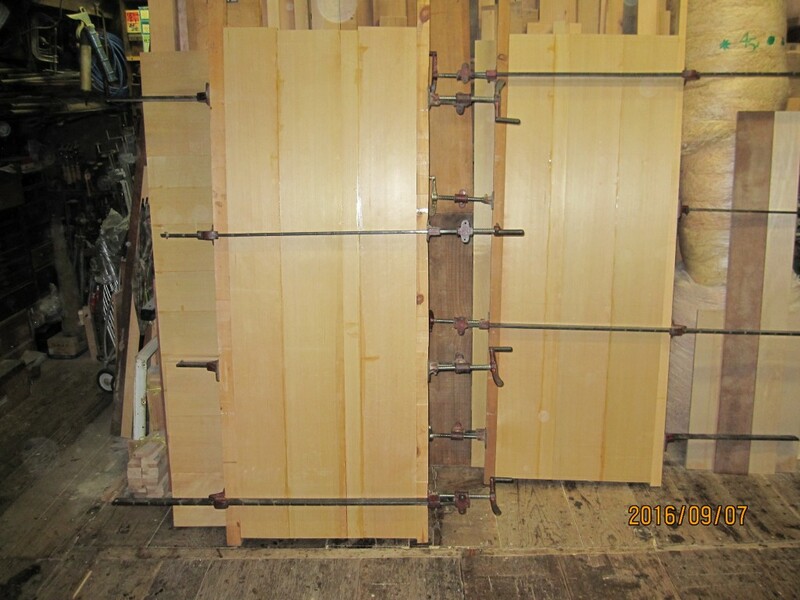 planks for tubs over 1500mm. Anyway, for your reference I prepared a quote in case of 42mm thick planks. 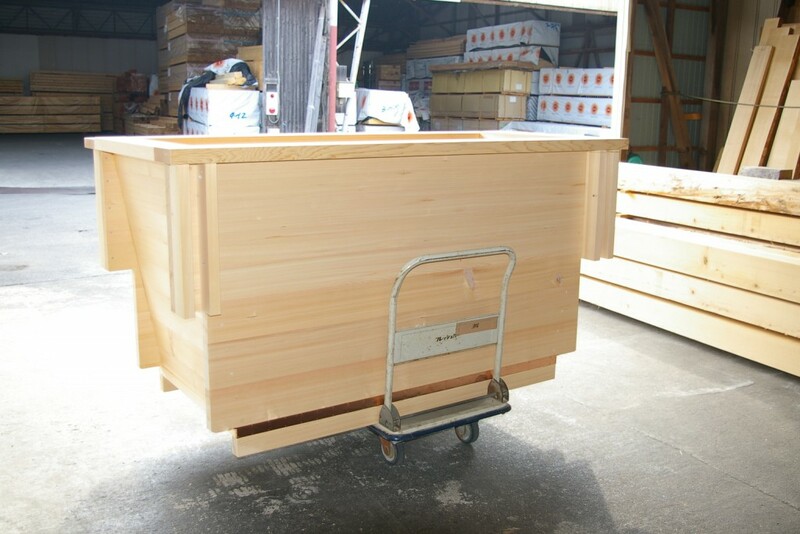 Today we prepared the lumber for another tub going to South Africa. The material is asnaro (also known as hiba) wood. 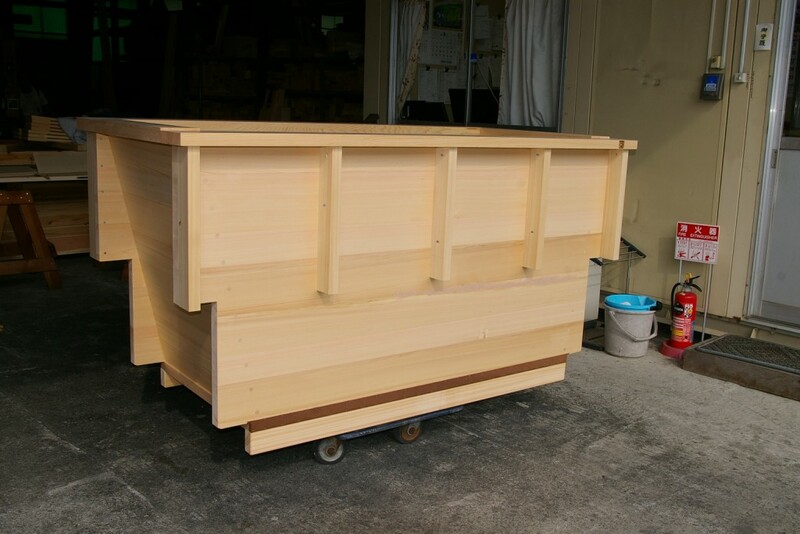 We are currently working on other units so the lamination and assembly work will actually start at the beginning of september and should take about 2 weeks. You can see some stains. This is not water but natural oil contained in the wood. This is the source of the aroma! Also, the fact that the plank is blackish is the proof it is well seasoned and fully dry. Of course once planed it will show its white face. 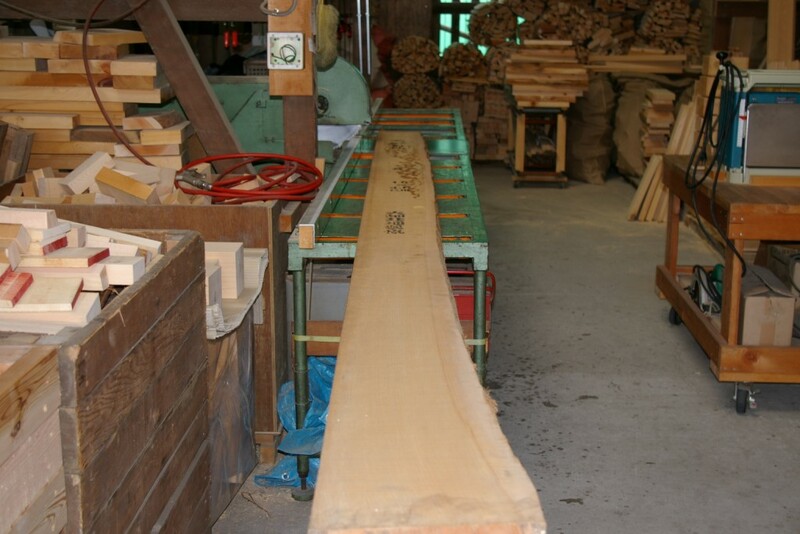 It is a very high quality lumber. the sapwood area close to the bark is reduced as much as possible. 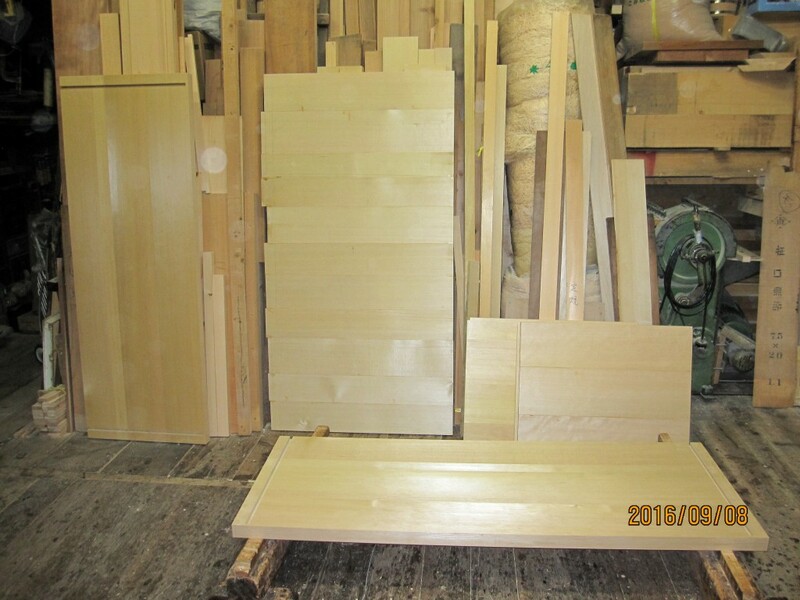 finally, this is material to build one ofuro 1500x750mm. I would like to publish here a mail I received from a lasdscape designer based in Portland. I’ve enjoyed your newsletters and information about your business. 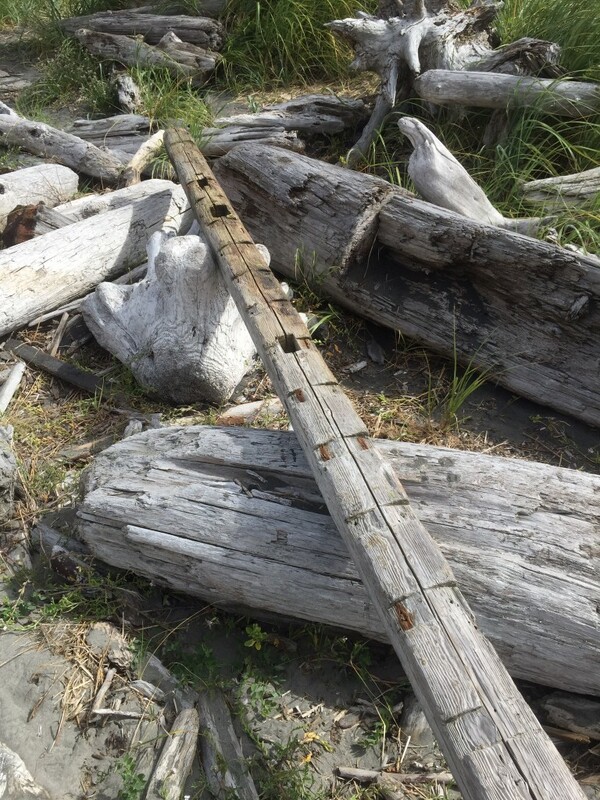 I thought I’d share this with you, as I begin to design a small structure using this ridge beam I extracted from the driftwood on the SE Washington shoreline yesterday. 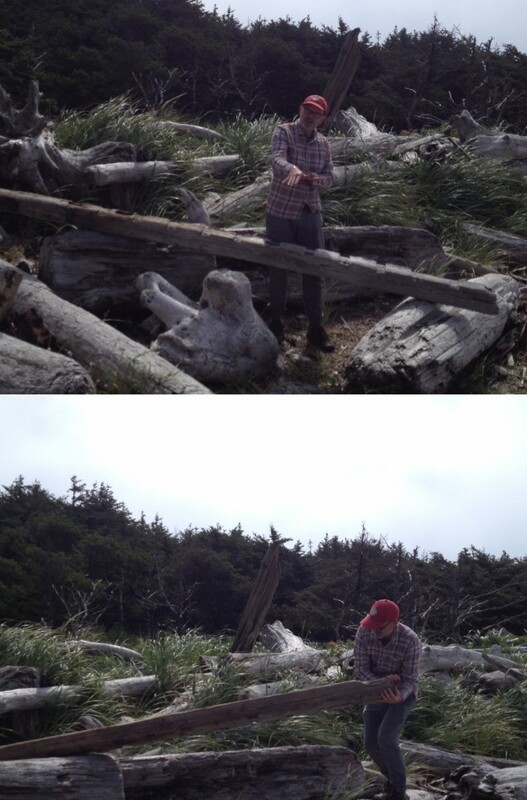 I believe it certainly is from 2011 tsunami. I’d like to honor its history and journey by giving it a renewed use, following the lines it dictates. it was used, I wonder if you would have a resource for me to consult that could indicate a likely representation of its position within a structure? I may have it figured out, but a few comments from a carpenter there would be quite meaningful. Than you for any consideration and dialog. I am so humbled and grateful! 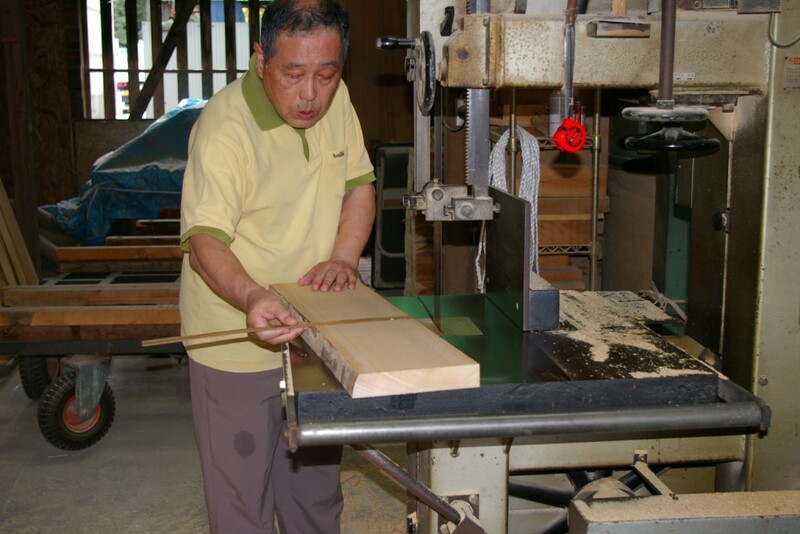 Thanks to this homepage I have the opportunity to get in touch with amazing people who share their passion for handcrafts and for japanese culture.